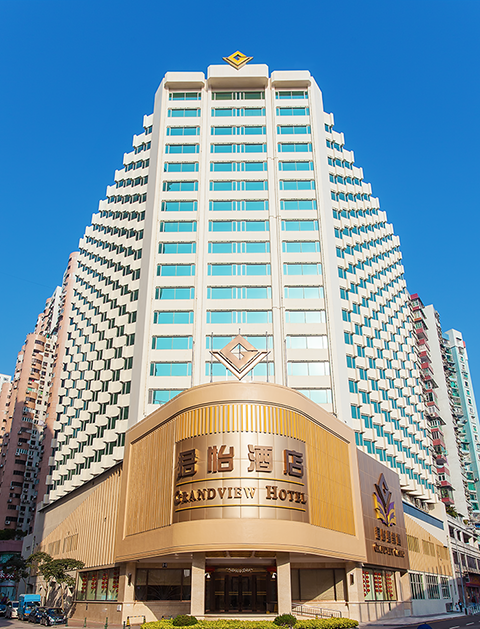 Grandview Hotel Macau has virtually everything you will need to complete a relaxing stay in Macau. Strategically located in Downtown Taipa, facing the famous 4-faced Buddha, the Macau Jockey Club and the Macau Olympic Stadium. Popular tourist spots like Cotai Strip, Rua da Cunha and Taipa House Museum are just a 5-minutes car ride away. Only a 5-minute car drive to/from the Macau International Airport and a 10-minute transfer to/from the New Macau Ferry Terminal. Access to the main city or the island of Coloane is so convenient. From Chinese to international cuisine, dim sum to formal dinners, our restaurants are favorites amongst locals and tourists alike. Great taste at very reasonable prices... a good treat for the better value of your money. With its very relaxing atmosphere, the Grandview Casino offers you not only the chance of having the best memories in Macau but the combination of great excitement and fun-filled entertainment.